Reddit is one of the most popular websites on the internet, and you can find pretty much anything there. But if you’re not familiar with it, Reddit can seem like a confusing mess of jargon, symbols, and all sorts of weird content. We’re here to help you make sense of it. Let’s take a look at what Reddit is, how it works, and how you can start using Reddit today. At its core, Reddit is a social sharing website. It’s built around users submitting links, pictures, and text, which everyone can then vote on. The best content rises to the top, while downvoted content becomes less visible. Reddit is a huge site, but it’s divided into thousands of smaller communities called subreddits. A subreddit is simply a board devoted to a specific topic. Each one starts with reddit.com/r/, such as reddit.com/r/NintendoSwitch. In most cases, subreddits have their own themes, rules, and expectations. When you visit Reddit’s homepage (while not signed in), you’ll see a feed of trending posts from various subreddits. You can click on a post’s title to open it and read the comments, see the full-sized image, or visit the link. Next to every Reddit post (and comments on posts), you’ll see a number that represents its score, along with an up arrow and a down arrow. These allow you to upvote or downvote content. However, these are not “agree” and “disagree” buttons. Upvoting (in theory) means that you think more people should see a post or that a comment contributes to the conversation. Downvoting means that you don’t think the post is worthwhile for others to see, or that a comment is off-topic. This simple system (along with a few behind-the-scenes algorithms) decides what becomes popular on Reddit. If a post receives enough points on its own subreddit, it might make it to the frontpage of Reddit for everyone to see. When your posts and comments get upvoted, you earn karma. This is a numerical score that appears on your profile page. While in theory it gives an idea of how much someone has contributed to Reddit, it’s really just a meaningless value. Even if you’re not interested in posting, you can still enjoy a lot of what Reddit has to offer. We recommend creating an account so you can subscribe to subreddits you’re interested in, vote, and build a feed of content you enjoy. Click the Sign Up button at the top-right to start. You’ll need to enter your email, create a username and password, and then you’ll be all set. Once you’re logged in, the main page of Reddit will switch from popular posts to your own Home page. This shows popular content from all the subreddits you’ve subscribed to. You can find new subreddits through the frontpage, but Reddit also has a handy search function at the top of the page where you can find new content. Enter something you’re interested in, and Reddit will show both posts and subreddits that match it. For example, when you enter bluegrass, you’ll see a few subreddits followed by related posts. You can switch to Posts or Communities and users at the top of the page to see more of either. Have a look at a subreddit to see if you like it, then click the Subscribe button on the right side to add it to your list. You can click the Create Post button on the right side of the screen to submit content any time. This button also appears when you’re on a subreddit and it allows you to submit directly. Once you’ve clicked it, you can choose whether to submit a text post, image/video, or a link. No matter what kind of post you pick, you’ll need to submit a descriptive title with it. Some subreddits only allow you to submit certain kinds of content, so keep that in mind. OC: Stands for Original Content and signifies that what you’re posting is your own work. Spoiler: Lets others know your post contains content that could ruin a surprise if someone isn’t caught up on the topic. Will blur the preview image on the post if there is one. NSFW: The Not Safe for Work tag signifies explicit content that people won’t want to view in public places like their office. Flair: Certain subreddits allow you to tag your post with little snippets of text to provide more info. For example, on /r/TechSupport, you can use flair like Mac or Networking to categorize your question. Once you’ve submitted your post, it should go live on the subreddit after some time. Different subreddits have various rules for posting; for example, they might not allow brand-new accounts to submit content. Your post also might not appear right away because it requires review by a moderator. In most cases, you’ll receive a message if there was a problem with your post. You can click the Envelope icon in the top-right of Reddit to check your messages. AMA: Ask Me Anything. You’ll often see this on the /r/AMA subreddit, which hosts question-and-answer sessions with notable people. Cakeday: The day you joined Reddit, or your “Reddit birthday.” You’ll see a little cake icon next to your username on your cakeday. Crosspost (or x-post): Used to indicate that you posted this content on another relevant subreddit as well as the current one. DAE: Stands for does anyone else? Used when you’re seeing if other people do something similar to you. Edit: Used when someone changed their comment after initially posting it. This lets you respond to new comments, explain why you edited the post, or similar. ELI5: Explain Like I’m Five. This is a request for someone to explain something simply. It’s also a popular subreddit, /r/explainlikeimfive. FTFY: Fixed that for you. Used when correcting a prior comment; often humorously. ITT: In this thread. Usually used when someone is summarizing the general theme of discussion on a post. Mod: A subreddit’s moderator. They keep the subreddit under control by enforcing the rules. Neckbeard: A derogatory term used to describe socially awkward men who are often pretentious as well. OP: Original poster. Used when a comment is addressing the person who submitted the content. Repost: Posting the same content multiple times in an effort to gain more karma. TIL: Stands for today I learned. TL;DR: Too long; didn’t read. Used to offer a short summary of a long post in case people don’t want to read the full content. /r/all: Reddit’s all page is a collection of the most active posts from around the site. /r/news: For more serious content, check out this sub for the latest news on Reddit. It’s primarily about the U.S. but covers other stories too. /r/CrappyDesign: Laugh at the worst design decisions you’ll ever see. /r/DeepIntoYouTube: A collection of YouTube videos that are old but have very few views. A great place to find wacky YouTube content 11 Crazy YouTube Channels You Need to See to Believe 11 Crazy YouTube Channels You Need to See to Believe There are plenty of strange videos on YouTube, but it takes a truly wacky person to create an entire channel full of them. Here are 11 crazy YouTube channels we have uncovered from YouTube's depths. Read More . /r/NoStupidQuestions: Ever had a question you think is dumb but still want to ask? This is the place. /r/personalfinance: A great resource for getting help with money-related topics. /r/shitpost: Come here to laugh at some of the low-quality garbage that gets upvoted on Reddit 15 Awful Reddit Posts You Won't Believe Were Popular 15 Awful Reddit Posts You Won't Believe Were Popular Reddit is home to all kinds of awesome content. But it's also full of people looking to exploit the average user for some quick karma. Here are 15 awful posts that somehow soared to the... Read More . /r/techsupport: Have a computer problem and can’t find a fix anywhere else? Try posting here. /r/TheoryofReddit: Get meta on this sub dedicated to topics about Reddit itself. /r/wallpaper: Come find a cool new desktop wallpaper here. This is just a small sample of what’s available. 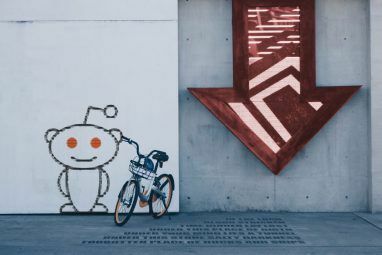 Check out subreddits full of facts and stories 20 Fascinating Subreddits With Facts and Stories That'll Blow Your Mind 20 Fascinating Subreddits With Facts and Stories That'll Blow Your Mind Reddit is a treasure trove of content. In this article, we look at subreddits full of facts and stories likely to blow your mind. Read More for more. 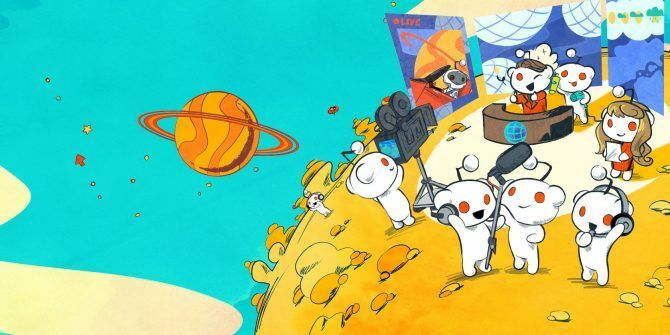 We’ll leave you with a few miscellaneous tips for making the most of Reddit. On every subreddit and post, you can sort by several criteria. Hot is the default and shows posts with a lot of recent activity. New, Top, and Rising are all self-explanatory. Controversial shows posts with roughly equal amounts of upvotes and downvotes. With some options, like Top, you can filter by the past day, week, year, or all time. Use the View options to change how posts appear. The default wastes a lot of space, so we recommend changing it to the Classic layout (in the middle). This lets you see more posts at once without getting too cramped. Some subreddits have wikis or FAQs that can help you get acquainted with the basics. Check the right sidebar or above the view options for these before you start posting. You’ll also find the subreddit rules in the sidebar. You might see gold, silver, or platinum icons that appear next to posts or comments. This is related to the paid Reddit Premium service, where you can purchase coins and use them to give awards to posts. It’s not necessary by any means, but when you see that, you know someone paid money to award them. Click the Save button on any post or comment to keep it for later. Click My Profile under your username at the top-right to get access to all your interaction history, including saved content. Install the Reddit Enhancement Suite browser extension to add lots of handy features. And don’t forget to review our guide to Rediquitte What Is Reddiquette? 8 Things You Should Never Do on Reddit What Is Reddiquette? 8 Things You Should Never Do on Reddit Are you new to Reddit? Before you start posting, you should make note of this essential Reddit etiquette and what not to do. Read More for some major no-nos. Now you have an idea of what Reddit is and how it works. There’s a lot more to using Reddit, but you’ll learn it in time. For now, focus on subscribing to cool subreddits, interacting with content, and learning the basics. Reddit has a lot to offer, so enjoy it. 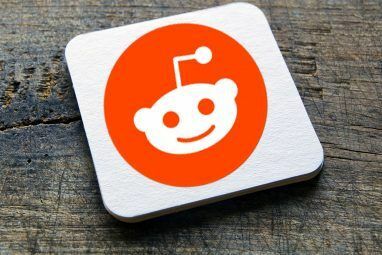 For more, check out the best apps that offer more for Reddit beginners The 5 Best Reddit Sites and Apps for Beginners and Casual Users The 5 Best Reddit Sites and Apps for Beginners and Casual Users Reddit can be overwhelming for newcomers. These sites and apps make it a little easier to use Reddit without being a regular. Read More .